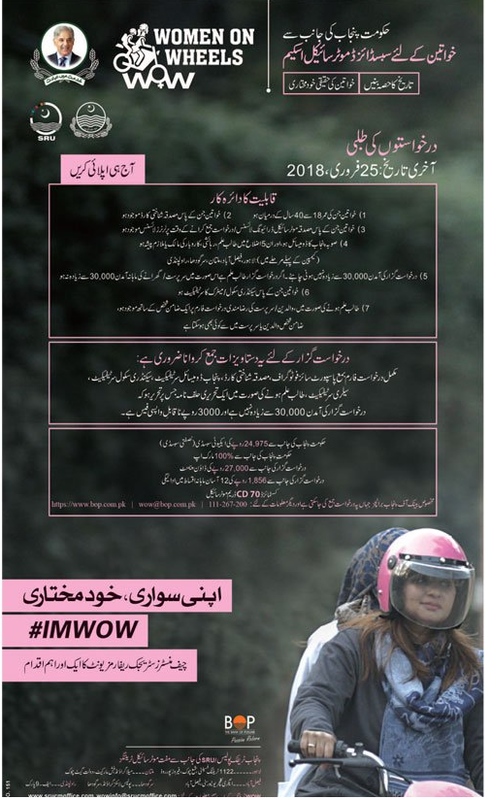 We are glad to inform you that Punjab Govt Women Motorcycle Scheme 2018 wow has been launched for facilitating and making women independent.The core purpose of this initiative to empower and strengthen the women role and liberty with respect to their movement.The programme titled Women on Wheels Motorbike Subsidy Scheme is Phase II of its Women-on-Wheels project. 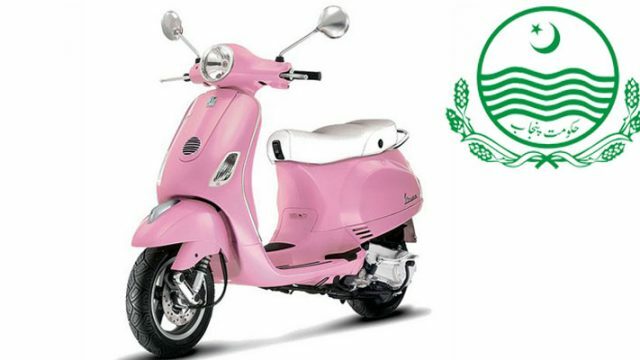 It has been started with the collaboration of transport department and Bank of Punjab.Under this scheme, more than 3,000 motorcycles will be disbursed among women of Punjab at subsidized rates through a 100 percent transparent balloting process. Candidates can apply for the campaign starting from January 22 while the last date for apply is is 25th February 2018.Initially this is being started in Lahore, Multan, Faisalabad, Rawalpindi and Sargodha. Female must have LTV or Learner for motorbike as well. Applicant’s income must not be more than 30,000. In case if applicant is student then her parents or guardian could be her guarantor. Under this scheme, the Punjab government will be providing equity subsidy of Rs24,975 and 100 percent markup on the motorcycle. The applicant will make down payment worth of Rs27,000 and payment in 12 easy installments of Rs1,856 monthly.Women interested in availing the training can visit any of SRU & Punjab Traffic Police training centers. The ultimate aim of the Wow campaign is to promote mobility of women in Punjab and empower them to become independent individuals as well. Last date to Submit application form is 25th February,2018.